Welcome to Box Elder, Utah, home to Procter & Gamble’s newest manufacturing site in the United States. The Box Elder plant made its first sellable roll in January 2011 and currently produces Bounty Paper Towels and Charmin Toilet Paper. A $500 million expansion has been announced, which sets the stage for an exciting future. As it is the newest plant, the Box Elder plant is redefining manufacturing. It is a state-of-the art facility designed to eliminated loss and increase efficiency. The plant team sits in a centralized open space which fosters flexibility and accessibility. This by design, enables you to receive more responsibility and experience faster than your peers at other plants. Bear River City is a city in Box Elder County, Utah, United States. The population was 853 at the 2010 census, an increase over the 2000 population of 750. The population was sufficient under Utah state law for Bear River to become a city near the end of 2000. Although current state law requires a minimum population of 1000 for cities, Bear River City remains a city. 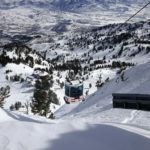 Located along the Wasatch Front of the Rocky Mountains, you are never more than a half hour drive away from world class skiing, hiking, and mountain biking. It is an outdoor person’s dream place to live. One can take a day trip to the Olympic Park at Park City to visit the museum of the 2002 Winter Olympics, train for the ski jump event year-round in their training pool, and then take a ride on the Olympic bobsled course. 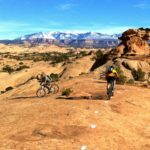 The next weekend you can take a mountain bike down to Moab and ride trails ending with the scenic, photogenic Delicate Arch. National Geographic ranked the area #1 in the nation in hiking trails. 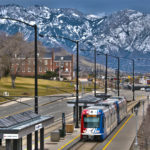 The Box Elder plant is also located just 1-hour north of downtown Salt Lake City, which is consistently ranked as one of the fastest growing cities for Young Professionals in the country. 1 out of every 6 people in Salt Lake City is in their 20s, with Forbes recently ranking it the 4th best city in the country for a Young Professional. With a low cost of living, it is a great place to put roots down, as it is a city thriving with young, outdoors people. Located about a half hour from the plant, this is the most popular choice for new managers at the plant. 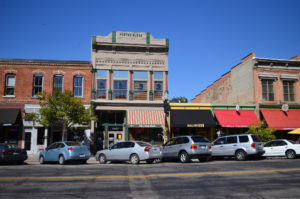 With a population over 100,000, Ogden has everything you’re looking for in a mid-size town. You’ll step outside your apartment or house and look up to see Ben Lomond Mountain, which was the inspiration for the mountain in the Paramount Pictures logo. Hiking trails and skiing are a short drive away. 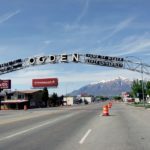 Ogden is growing fast, with major renovation efforts occurring downtown on Historic 25th Street, which once was a hotbed of Wild West activity due to the train track crossroads. Ogden is also the home of Weber State University, with great academics and a host of Division I college sports. Salt Lake City is only 45 minutes away with an hourly train that can take you down and back for a day trip. 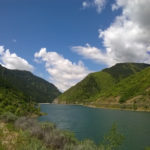 For those who don’t like a commute or the city, both Brigham City and Tremonton are smaller, scenic towns located within 15 minutes of the plant with inexpensive housing options and easy access to the outdoors. Many of the employees live in these locations as they are a great place to raise a family. Located in Cache Valley, Logan is about a 45 minute trip to the plant. It is a gorgeous town with a population of about 50,000. Home of Utah State University, there is never a shortage of people to hang out with and activities to do. Logan provides a great combination of proximity to the outdoors and mountains while still having a large community of people around. For those who want the city life of Salt Lake City, these are great options to consider. The commute is longer, between 45 minutes to an hour, but it provides ease of access to Salt Lake City after work, where something is always happening.